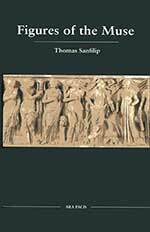 In this compelling and groundbreaking collection of prose and poetry, Thomas Sanfilip reveals the tenuous, but often fragmented connection between the ancient past and the modern present. Whether meditating over the city of Rome from a convent roof or walking the empty ruins of the ancient Greek city of Selinous in Sicily, for Sanfilip these are no routine experiences, but profound journeys into all they evoke. What he realizes is a remarkable symbiosis with each place, each image, whether transformed poetically or probed in poetic prose. Each landscape becomes raw encounters with the self as much as physical engagements with time, place, and history wherein the poet recognizes the fragmentation of the modern soul and its struggle with faith. In the end, he experiences the profound transfiguration of memory into myth and myth into memory wherein all things become one as they transform and evolve in eternal metamorphosis. What connects us to our ancient ancestors? Figures of the Muse is a collection of prose and poetry from Thomas Sanfilip focusing on the bigger picture of human history, looking at the experiences that tie the history of all together. Insightful as well as riveting verse, Figures of the Muse is a solid addition to poetry collections not to be missed.